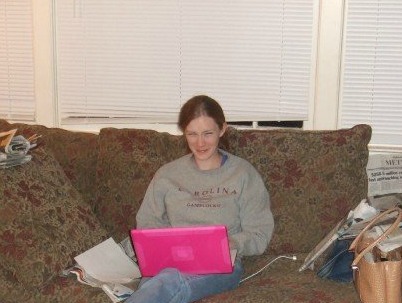 Candid shot of me working on a story in 2007, not wanting to be vulnerable. The relationship between a reader and a writer is like any other—it depends on vulnerability. I’ve created over the years a variety of writing from promotional pieces to news stories. And I’ve succeeded most as a writer when I’ve exposed something that makes me feel uncomfortable. Even promotional writing requires vulnerability in its call to action—it may cause the writer discomfort asking the reader for monetary or physical support. So write down your secrets. Strip from your message the rhetorical devices that are hiding what you need to say. Be naked on the page. Then will people want to read.